John C. Reeves is Blumenthal Professor of Judaic Studies at the University of North Carolina at Charlotte. Annette Yoshiko Reed is Professor at New York University. Across the ancient and medieval literature of Judaism, Christianity, and Islam, one finds references to the antediluvian sage Enoch. Both the Book of the Watchers and the Astronomical Book were long known from their Ethiopic versions, which are preserved as part of Mashafa Henok Nabiy (’Book of Enoch the Prophet’)—an Enochic compendium known in the West as 1 Enoch. Since the discovery of Aramaic fragments among the Dead Sea Scrolls, these books have attracted renewed attention as important sources for ancient Judaism. 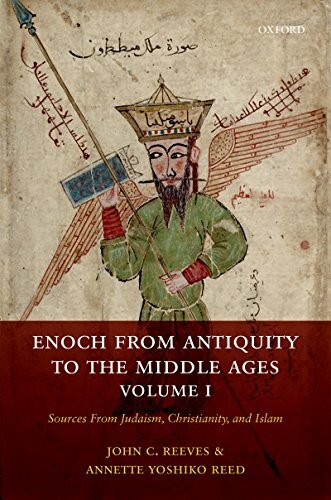 Among the results has been the recognition of the surprisingly long and varied tradition surrounding Enoch. Within 1 Enoch alone, for instance, we find evidence for intensive literary creativity. Jewish literary circles from late antiquity into the Middle Ages, thereby shedding light on the trajectories of Jewish apocalypticism and its possible intersections with Jewish mysticism. Students of Near Eastern esotericism and Hellenistic philosophies will have further data for exploring the origins of ’gnosticism’ and its possible impact upon sectarian currents in Judaism, Christianity, and Islam. Those interested in the intellectual symbiosis among Jews, Christians, and Muslims in the Middle Ages-and especially in the transmission of the ancient sciences associated with Hermeticism (e.g., astrology, theurgy, divinatory techniques, alchemy, angelology, demonology)-will be able to view a chain of tradition reconstructed in its entirety for the first time in textual form. In the process, we hope to provide historians of religion with a new tool for assessing the intertextual relationships between different religious corpora and for understanding the intertwined histories of the major religious communities of the ancient and medieval Near East.